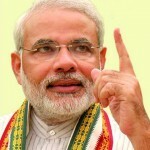 We, the All India Federation of Tax Practitioners an Apex Body of tax practitioners of India, heartily congratulate you on being elected as the Prime Minister of India. Indeed it was a great revolution through democratic process. 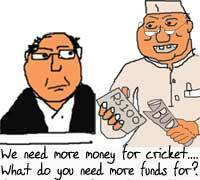 Dear Judges, Thanks For The Strictures But What About Some Follow-Up Action? As on 15-2-2014, the pendency of appeals and references before the Bombay High Court was more than 9,700, which includes 1,850 old references, 4,700 appeals admitted and pending for final hearing and 3,150 pending for admission. The Income-tax Appellate Tribunal Bar Association has made a representation to the Hon’ble Chief Justice of the Bombay High Court to constitute at least two tax Benches. We wish to express our gratitude to the Hon’ble Chief Justice for being kind enough to accept the request and constituted three tax Benches. 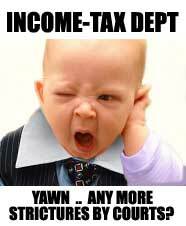 The Income tax–Appellate Tribunal (ITAT) which was established in the year 1941 is considered as mother Tribunal of all other tribunals. Regrettably, it has been ignored by the Government due to the frequent change at the helm of the Law Ministry in the last four years. Hence, the Ministry could not devote the deserved time on issues pertaining to the better administration of the ITAT. The ITAT, which is the final fact finding authority, requires urgent attention and support of the Government for its continued excellence in administering justice. I have made an attempt to highlight some of the important issues which require immediate attention. Lawyers and Chartered Accountants are a part of the noble profession where you render services without an eye on the fees. Also, the fees that you charge are based objectively on your level of skill and standing in the profession and are uninfluenced by the economics of demand and supply. The Income–tax Appellate Tribunal-Final fact finding authority—Members of the Bar and Bench are trustees-The onus is on them to preserve its dignity, sanctity and purity. 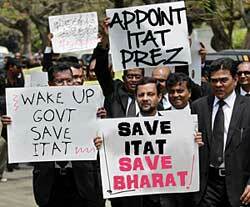 Dear Govt, Will You Act To Save ITAT Only After High Court Reprimands You? Those who practice before the Income –tax Appellate Tribunal (the “ITAT”), are well aware that in the year 1996, the then Law Secretary issued a notification stating that the Ministry of Law has the power to transfer the Hon’ble Members of the ITAT. The said notification was challenged by the ITAT Bar Association, Mumbai, and the then President of the ITAT was made respondent to support the petition. The Hon’ble Bombay High Court stayed the operation of the said notification (Income-tax Appellate Tribunal Bar Association of India v. UOI, W.P. NO. 2350 of 1996 dt. 6-3-1997) (Income-tax Review, April 1997, P. 1 to 3). Does Anybody In The Govt. 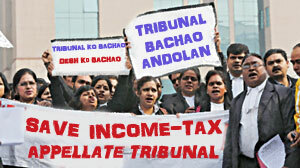 Care For The Welfare Of The Income-tax Tribunal? The Income -tax Appellate Tribunal, which has completed 72 years of existence, is considered as one of the finest institutions of our Country. The former President Shri Vimal Gandhi retired on 3-6-2010, however, till date, no permanent President is appointed, Senior-Vice President / Vice-President is acting as Officiating President. It is for the first time that for more than two years and ten months Vice-President has been functioning as an Officiating President. By not appointing the President, Senior Vice President and Vice Presidents, the Government is sending a wrong message that, we have no members who deserve to be appointed to lead the institution. If that is so, how the citizens will have confidence in the Institution. Dare To Dream Beyond Supreme Court. Get Ready For E-Supreme Court!! All India Federation of Tax Practioners have made a representation to Government of India from time to time to constitute four Benches of Apex court in different regions. The Bar Council of Maharashtra & Goa vide letter dated 11/4/2000 also endorsed the view of the Federation. 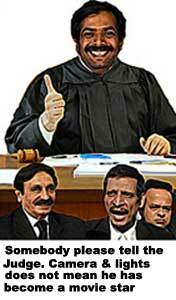 However, full Bench of the Apex Court was not in favor of having the Benches of Supreme Court in different regions. It seems the Government may not initiate the proposal to constitute Benches of Supreme Court in four regions. 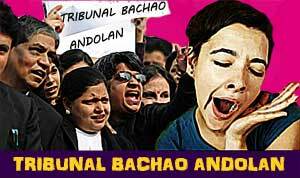 At present common man of our country cannot think of approaching the Apex Court for justice it is beyond his reach. Shri Ashok H. Desai, Sr. Advocate and Former Attorney General of India in his speech stated that every adjournment in Supreme Court costs the client minimum of about Rs.1 lakh. If this is the minimum cost for an adjournment, one can imagine how expensive it would be for citizens to approach the Supreme Court for justice. Vodafone enjoys the pride of place as the numero uno landmark judgement of the year though it has now, despite its path-breaking and revolutionary stance over tax-planning and substance vs. form, attained the dubious status of a never ending soap opera.